It’s never easy to watch a friend go to prison – but that’s exactly what we experienced last month with a training partner named Charlie Engle, a former Salinas resident who began his running career as a member of the famous Big Sur Marathon “centipede” team in 1991 before becoming one of the most admired and accomplished adventure racers in the world. Last month, Charlie was sentenced to a 21-month prison term after being found guilty on 12 counts of bank and mail fraud, and using that money to help fund his ambitious adventures. The story of how Charlie went from that first marathon to running in place inside a jail cell is a cautionary tale about how our passions can sometimes overwhelm us. Charlie always had an intense fire burning inside him; his ongoing struggle was how to channel that fire into something constructive rather than destructive. Although he was seemingly healthy during that Big Sur centipede run, he was battling a 10-year addiction to drugs and alcohol that started when he was only 17. He went “cold turkey” on July 23, 1992 and has been clean ever since – he simply found a more legitimate outlet for his energy and compulsive behavior. He traded in his drug use for excessive adventure running. He eventually moved to North Carolina and immersed himself in the world of ultrarunning, continually looking for harder and harder challenges. He did the Badwater race, 135 miles from Death Valley to Mount Whitney, where it’s common for the soles of your running shoes to melt from the heat. He ran the 130-mile Amazon Jungle Marathon in Brazil, and won the 155-mile Gobi Desert Marathon in 2006. He competed in several Eco-Challenges, involving running, hiking, canoeing, swimming, climbing, and lots of all-around suffering, and became a charismatic star when those events were regularly televised. Along the way, Charlie also became a very sought-after public speaker, using his life as an example of overcoming challenges and living life to its fullest potential. Anyone who’s heard him will tell you that Charlie lights up a room: he’s charismatic, funny, entertaining, self-deprecating, and above all else, inspiring to listen to. Charlie’s next ambition was to be the first person to run across the Sahara Desert. He dreamed of the run serving a humanitarian mission to raise awareness and money for the clean water crisis in Africa. Part of his outreach effort was creating a movie called Running the Sahara, which documented the journey of Charlie and two other adventurers as they successfully ran for 111 days across 4,300 miles of the African continent in 2007. Although it was an extremely noble accomplishment, this is also where Charlie’s ambition apparently began to get the best of him. According to federal prosecutors, Charlie partially financed his movie by money obtained by real estate loans and mortgage fraud involving properties in Virginia, as well as exaggerating his income to become eligible for these loans. When the financial downturn hit, no matter how far he ran, Charlie could no longer stay one step ahead of his collectors and prosecutors. 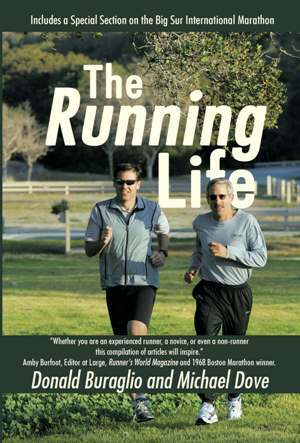 Charlie tells his version of the events and about his life in prison on his personal website at www.charlieengle.com – a blog fittingly called “Running in Place”. He views his situation as just another physical and psychological challenge to overcome, and vows to get through it and back to serving the public as he did before. For everyone’s sake, we hope he’s able to succeed. 2. What year did this happen? If you don’t know the answers, don’t worry – we didn’t either. We had to look them up. Making the cover of Sports Illustrated is a coveted honor, placing an athlete in the spotlight of the American sports scene. Considered cumulatively, cover appearances indicate who our greatest icons have been through the years. Michael Jordan leads the pack with 56 covers, followed by Muhammad Ali (38), Tiger Woods (30), and a three-way tie at 22 between Magic Johnson, Kareem Abdul-Jabbar, and Jack Nicklaus. Lance Armstrong, the world’s most famous cyclist, has 10. Still scratching your head about our quiz? 50 years ago, you wouldn’t have had any problem. During the first half-century after SI’s first issue in 1954, runners appeared on nearly 60 covers, averaging at least one per year. 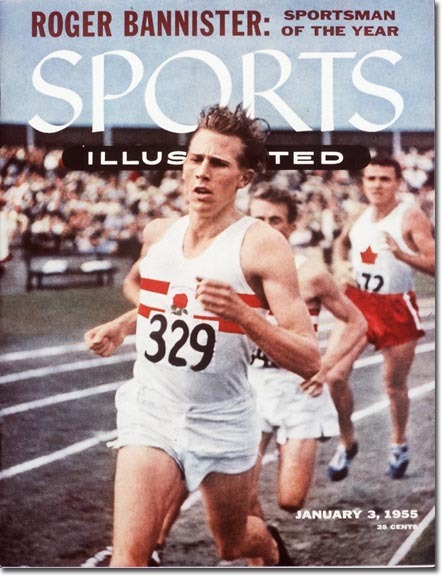 The magazine’s very first Sportsman of the Year was awarded to Roger Bannister, and in the era when milers ruled the Earth, distance runners were commonly featured in the magazine, especially during Olympic years. But somewhere on the road to the 21st Century, distance runners seemingly fell off the map. In the last 15 years, only 2 covers have featured runners, both of whom were sprinters: Marion Jones in October 2000, and Usain Bolt in August 2009. The good news is that Jones’s appearance wasn’t related to her drug scandal, which happened several years later. The bad news is that by the time it did, the sports world seemingly didn’t care about track anymore. With 30 million runners in the United States and 11 million race finishers last year, we would think that American distance running accomplishments would be recognized more regularly. It’s not as if our athletes haven’t done amazing things recently. Alan Webb broke a high school mile record that stood for more than 30 years. Meb Keflezighi and Deena Kastor won Olympic marathon medals in 2004, and last year Meb became the first American in to win the New York Marathon in more than twenty years. Ryan Hall ran the half marathon in less than 60 minutes a few years back, and Chris Solinsky broke the American 10K record last year in Palo Alto. It’s not just Americans who get overlooked: the two greatest distance runners in history, Haile Gebreselassie and Kenenisa Bekele of Ethiopia, who have dozens of world records between them in distances from 3000 meters to the marathon, have never made the cover. In fact, being featured in SI is perhaps the only accomplishment that neither of them has captured. 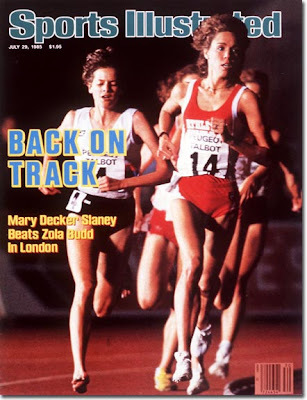 Which brings us to our quiz answer: if you go all the way back to July 29, 1985, you’ll find Mary Decker Slaney on the cover after defeating Zola Budd in the first rematch after their fateful collision at the 1984 Olympics. It wasn’t her first cover appearance, as two years and one surname earlier – at that time she was simply Mary Decker - she had been named 1983’s Sportswoman of the Year for setting six world records between the mile and 5K. Despite her brilliance, nowadays Mary isn’t even the most famous Decker to appear on the cover – that honor undoubtedly goes to 2010 swim suit cover model Brooklyn Decker (but we can certainly understand the popularity of that one). You have to go back even farther – more than 30 years - to find the last marathoner on the cover, when Alberto Salazar was featured after winning the 1980 New York Marathon. Before that, Bill Rogers made the cover in 1979 after winning at New York for the 4th time in a row. So if you’re a runner looking to get on the cover of SI someday, your best options appear to be 1) set multiple world records, 2) win the New York or Boston Marathons 4 times, or 3) become a swimsuit model. Although running has innumerable benefits for all of us, it’s clear that becoming famous isn’t one of them.